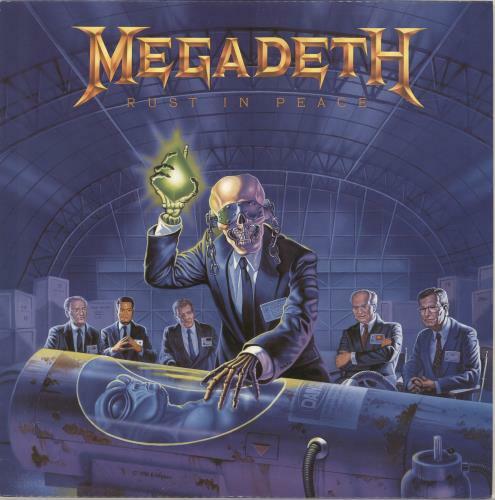 MEGADETH Rust In Peace (1990 Spanish 9-track vinyl LP produced by Mike Clink & Dave Mustaine, including the classic singles Holy Wars... 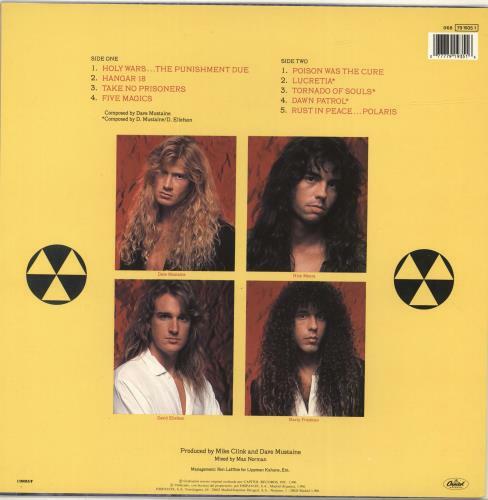 The Punishment Due & Hangar 18, complete with illustrated lyric inner, picture sleeve. The sleeve shows minimal shelfwear and the vinyl remains near 'as new' with little sign of play).